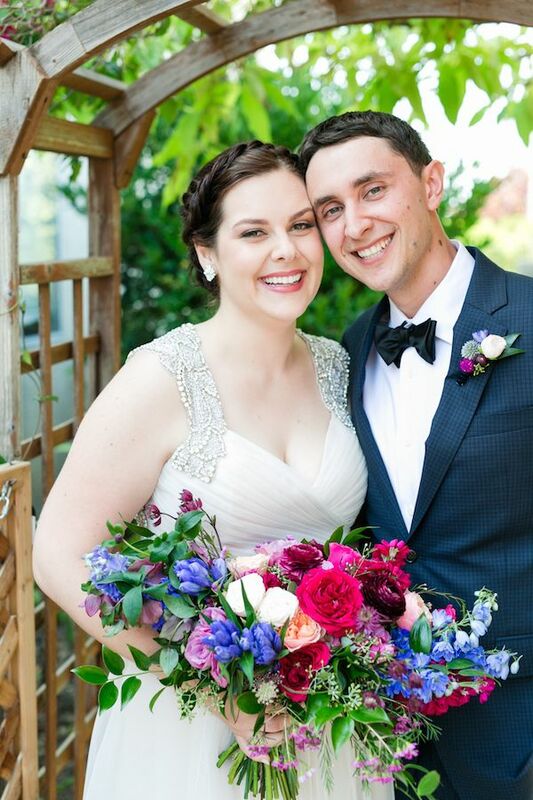 Samantha and Ryan's love story is one straight out of a storybook. 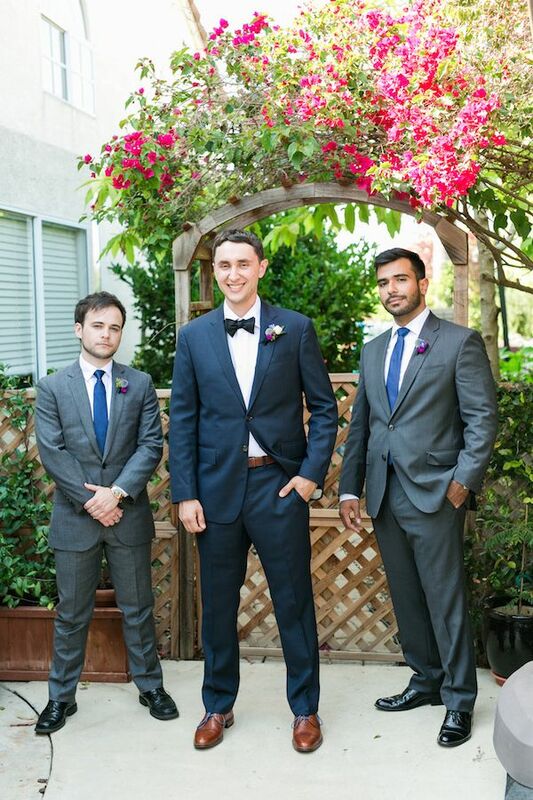 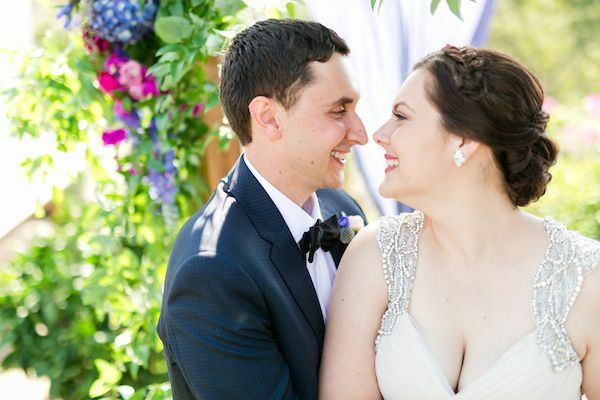 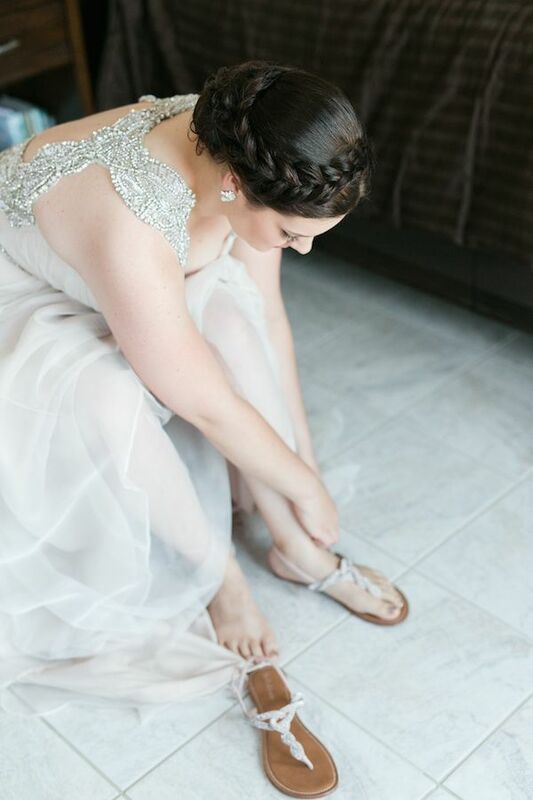 And lucky for us Kaysha Weiner Photographer captured the sweetest moments from their wedding day for all of us to see! 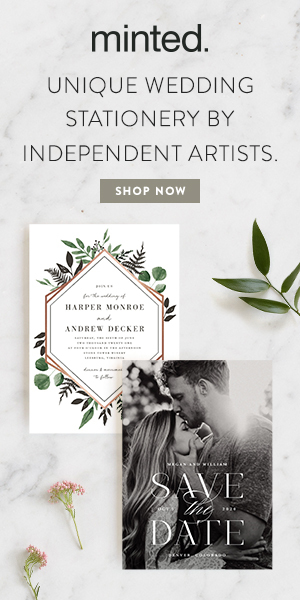 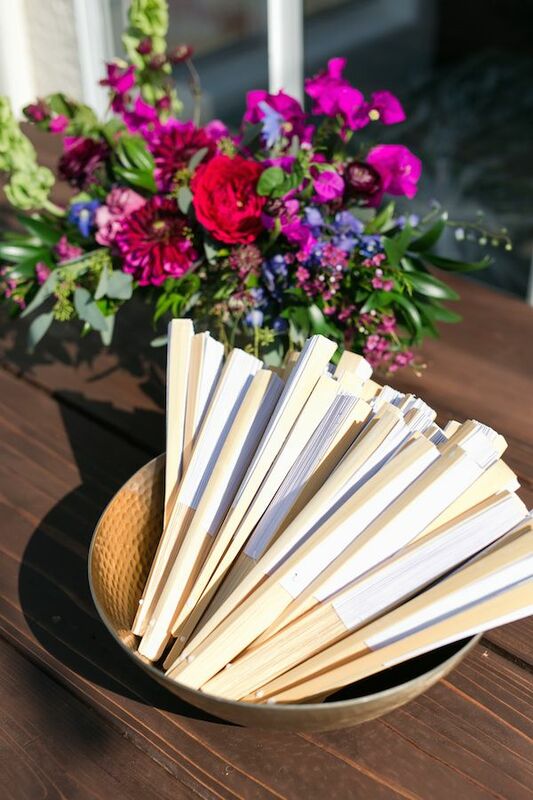 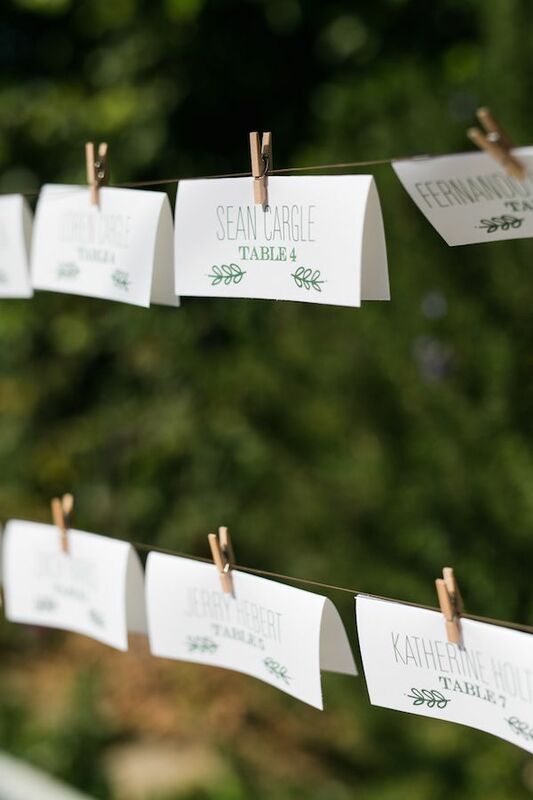 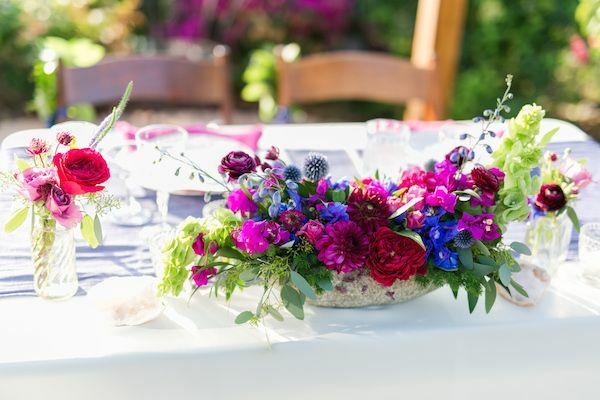 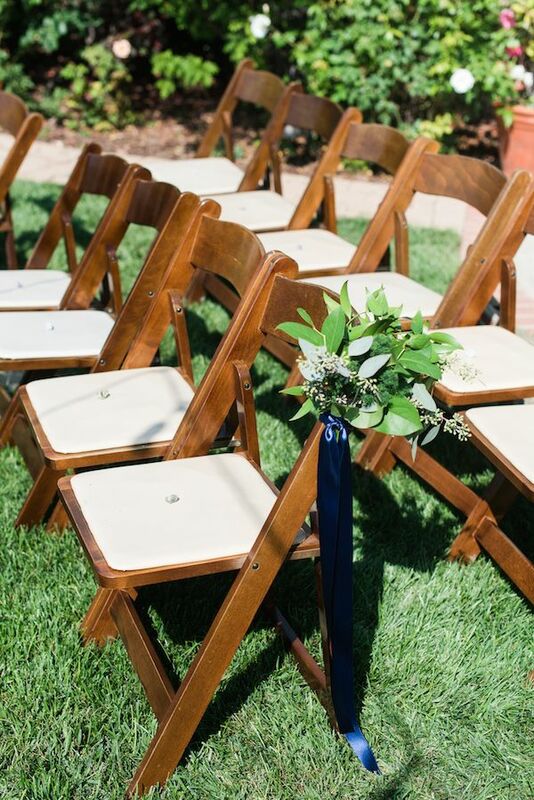 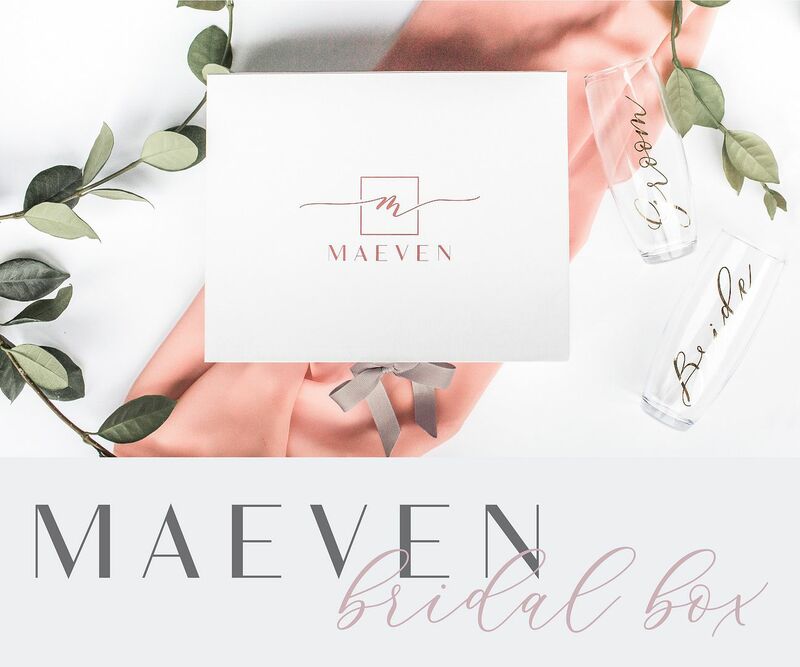 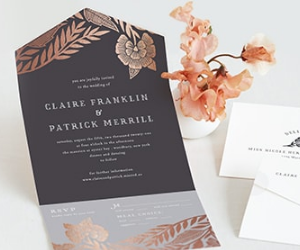 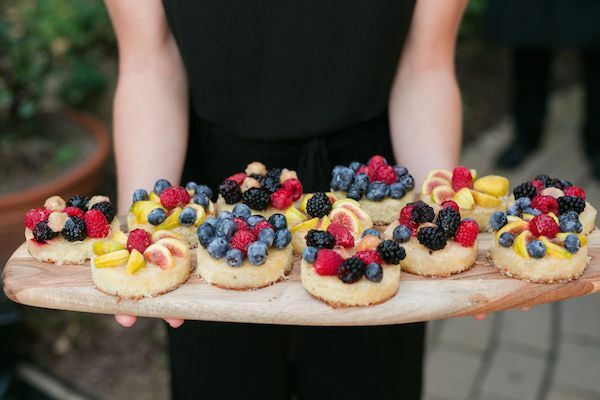 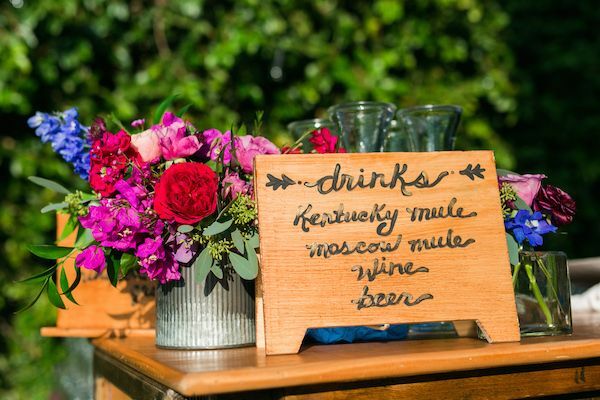 With event coordinating and design by The Joy Parade, and florals by Rebelle Fleurs, these backyard 'i do's,' are the stuff that wedding dreams are made of! 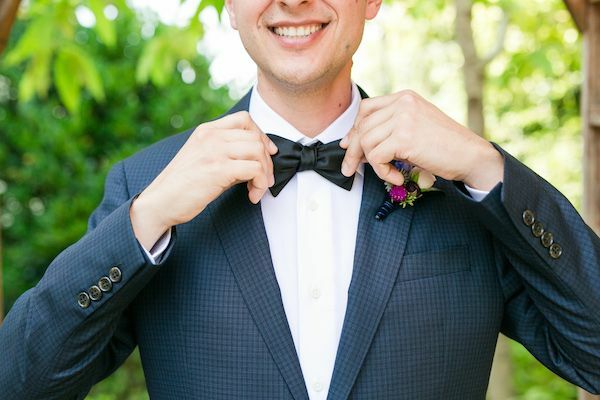 About the couple, "After meeting in their senior year of high school, they have been together for over ten years and have grown into adults and been there for each other through many milestones." 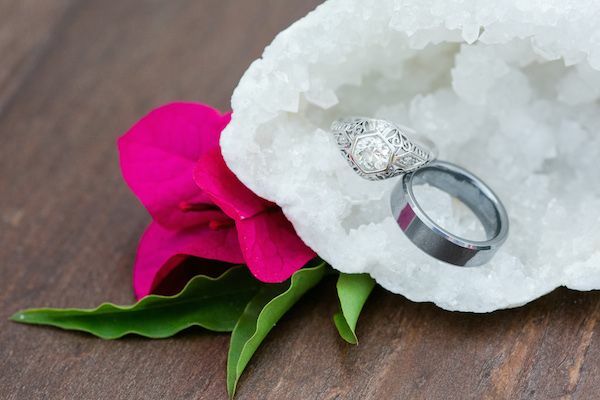 "When it came to proposing to Samantha, Ryan knew it needed to be as special as their relationship – on an island in Helsinki, Finland, Ryan popped the question at the same "kissing rock" that his grandparents had their first kiss." 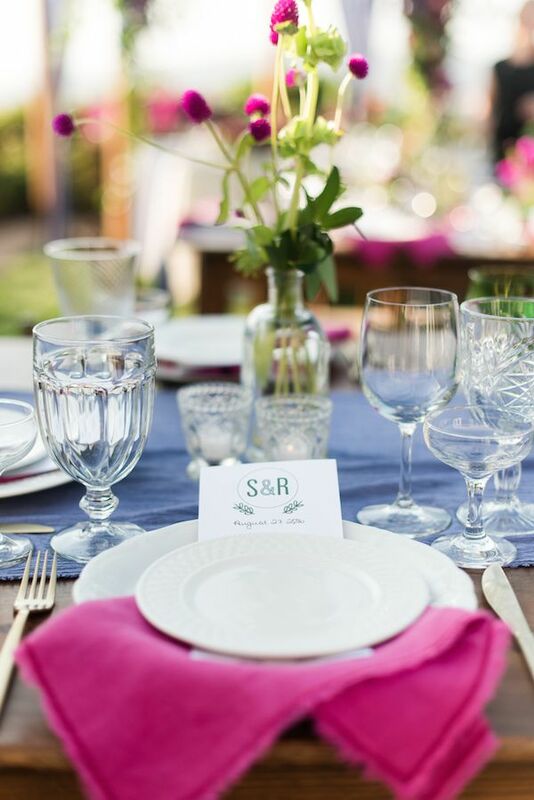 "Family dinners have been an important part of Samantha and Ryan's relationship, and they wanted their wedding to reflect that intimate feeling." 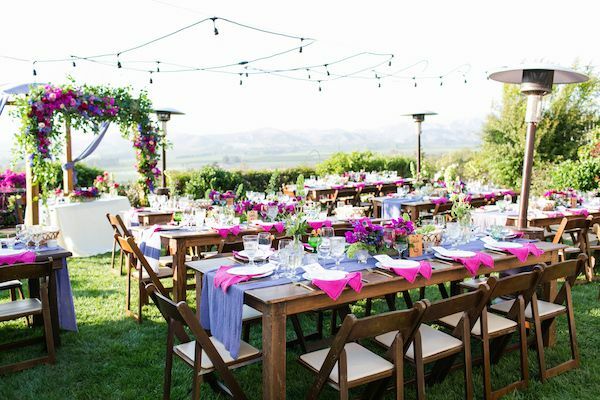 "Aesthetically, they decided to have an earthy and natural look with lots of greenery and bright pops of color that complemented the dark wood of their tables." 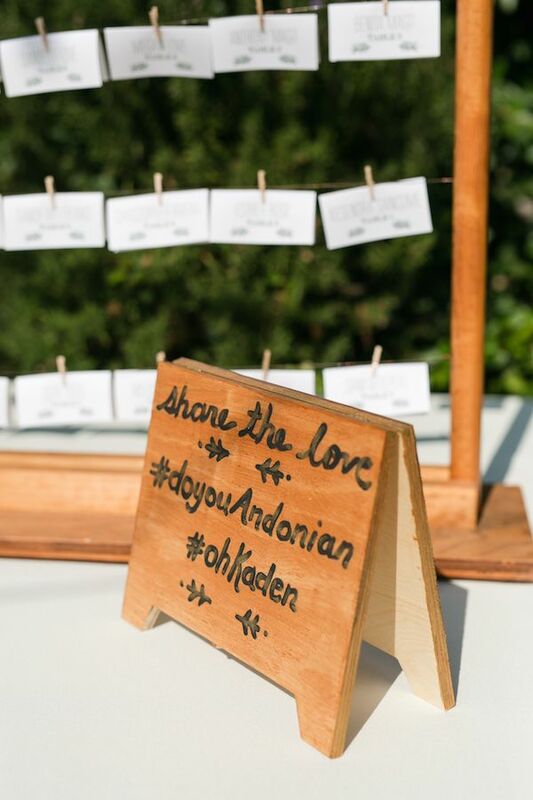 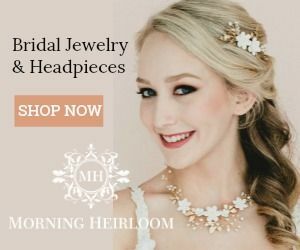 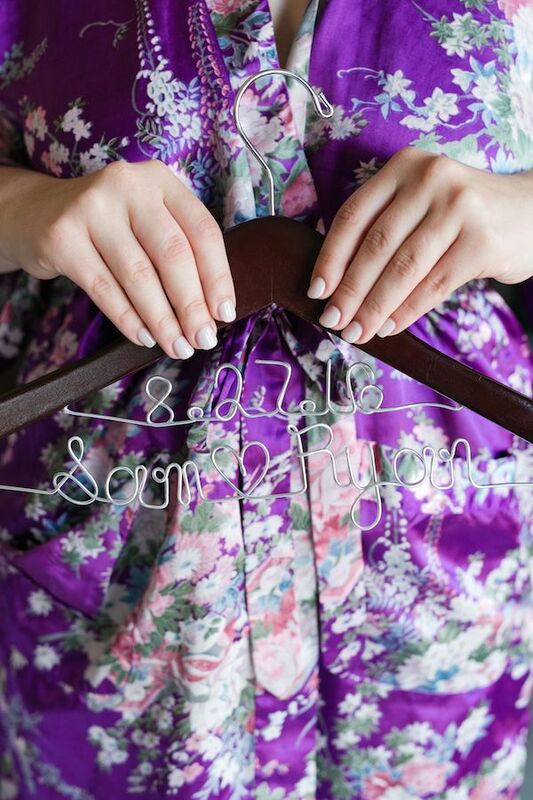 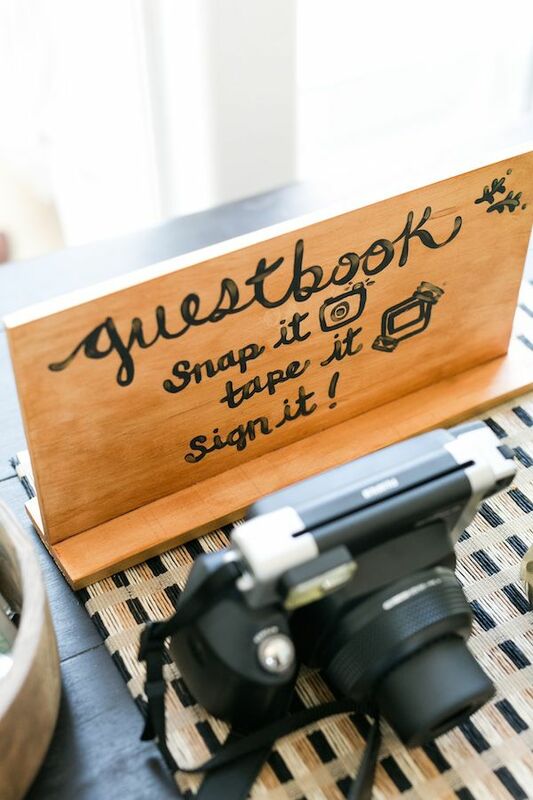 "There were so many small details that the couple loved, from the polaroid guestbook to the handfasting cord they made themselves." 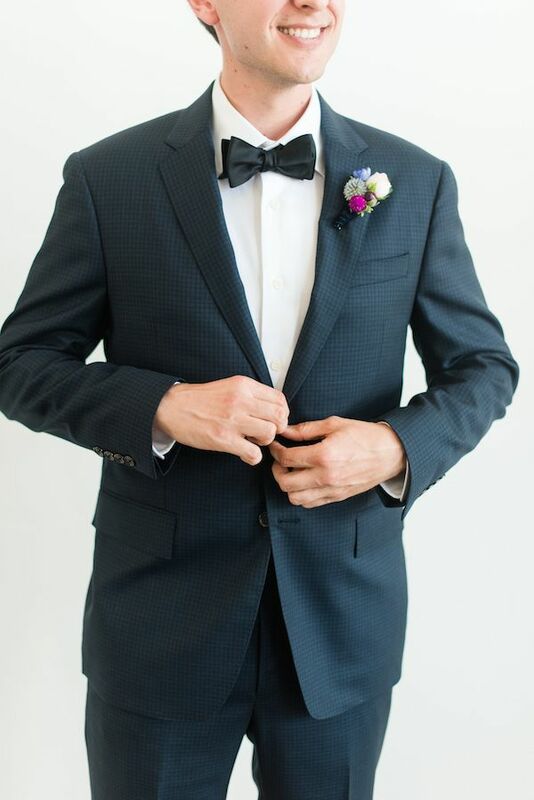 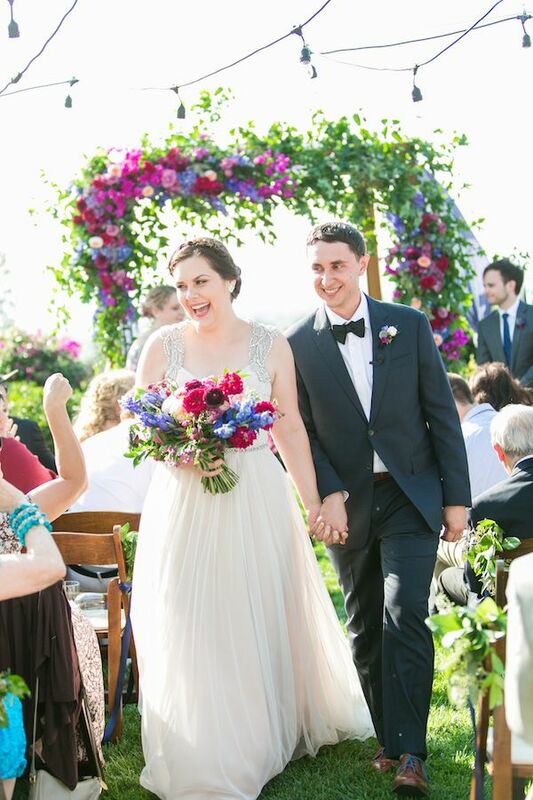 "An especially memorable moment was the incorporation of one of their favorite songs, "Grow Old with You" from The Wedding Singer, into the ceremony – everything came together perfectly." 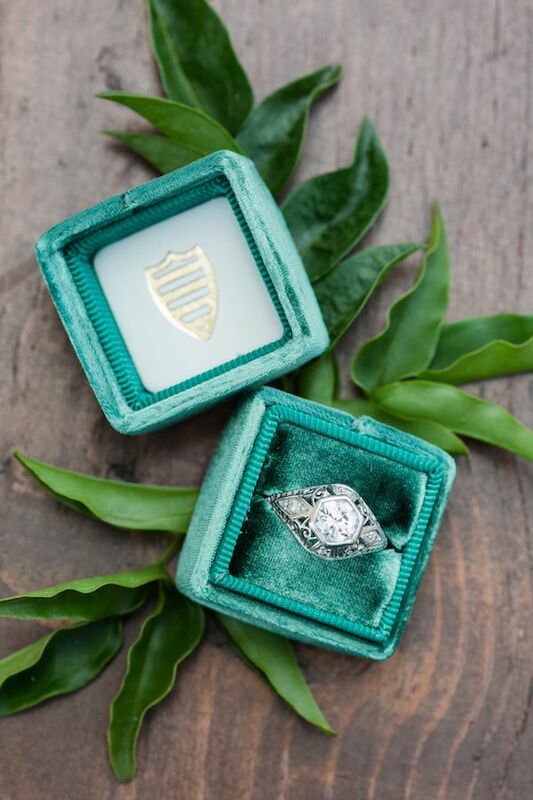 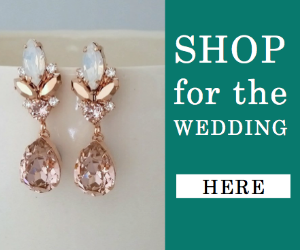 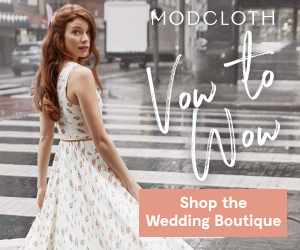 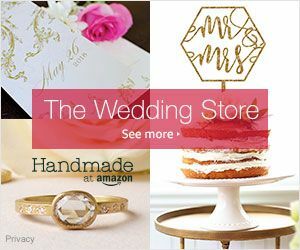 "When it came to wedding planning, Samantha advises other couples to hire a wedding planner you trust..."
"...because, if you know they have everything under control, you'll be able to really focus on your friends and family, which is exactly what you should be doing." 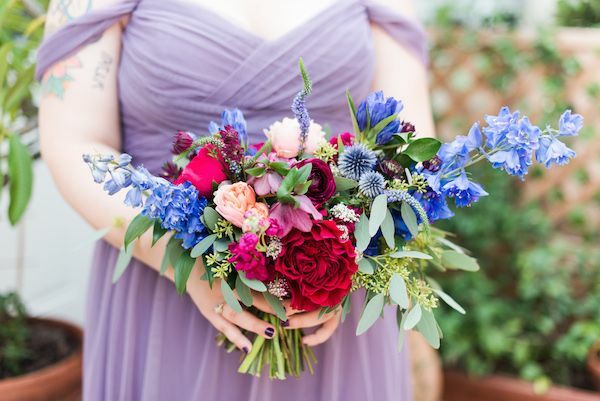 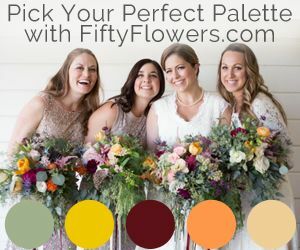 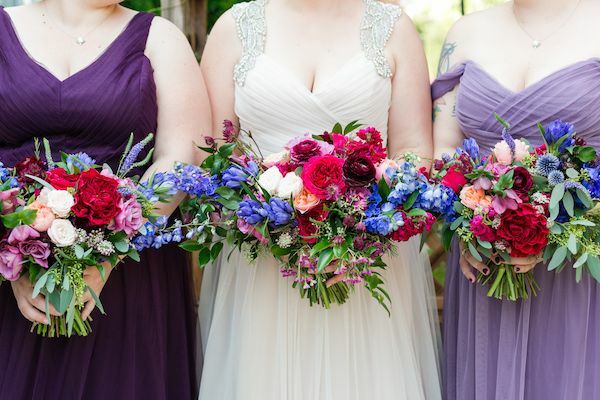 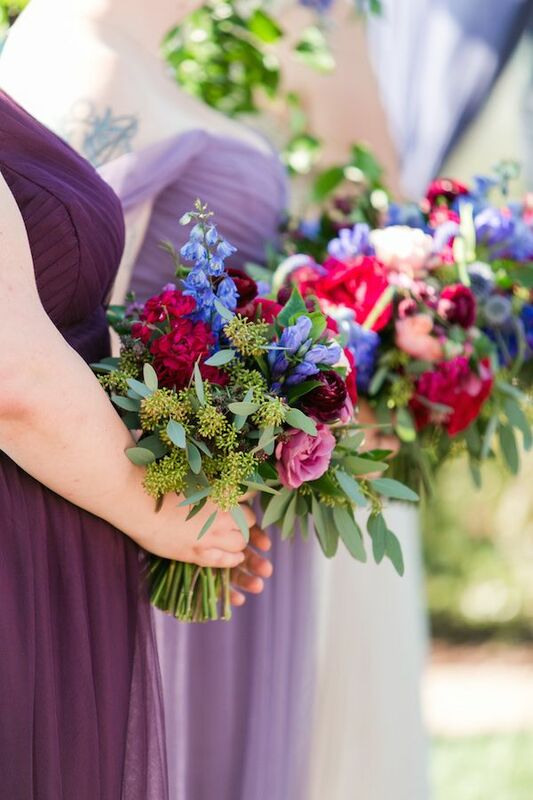 From the colors all the way to the over-the-top florals, there was simply so much to swoon over on this day! 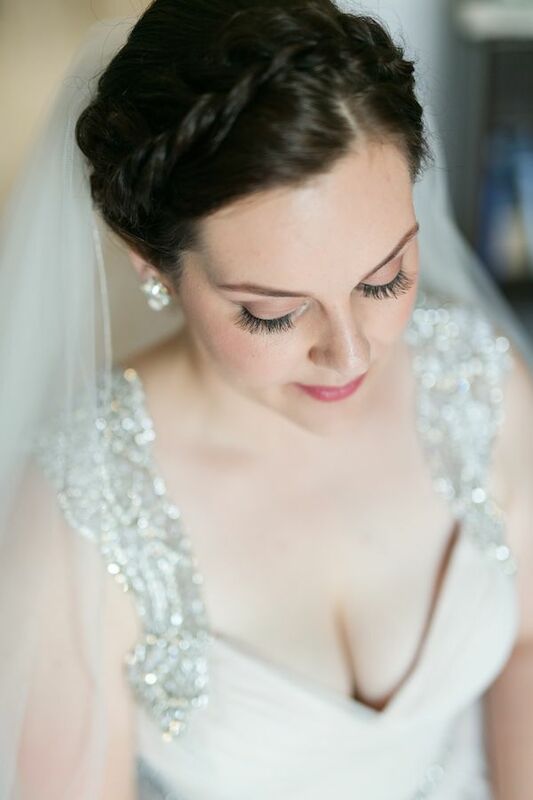 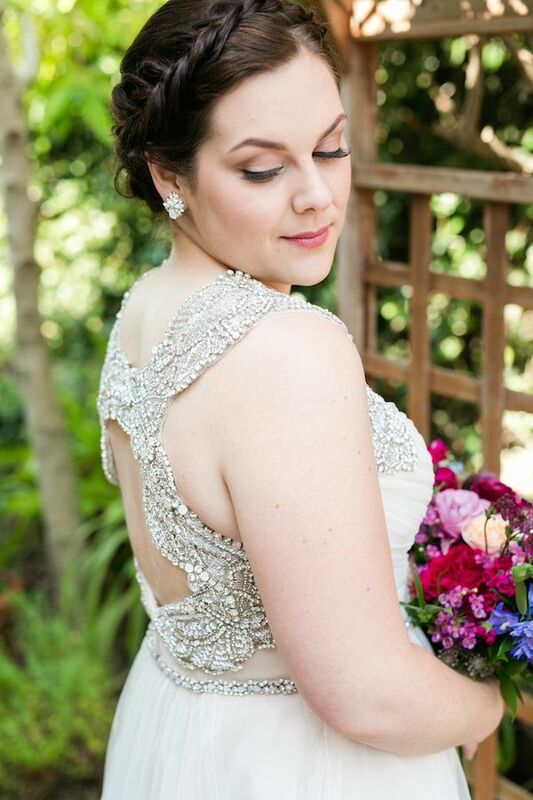 We're absolutely loving the intricate detailing on this stunning Hayley Paige wedding gown. 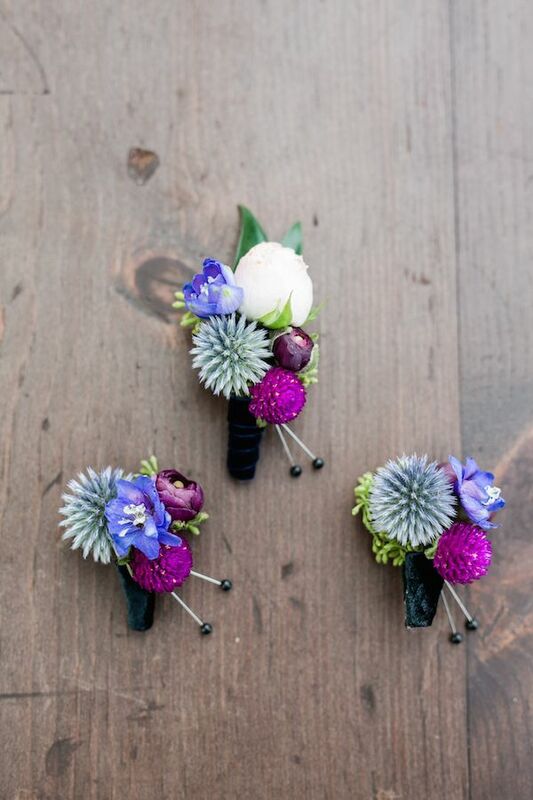 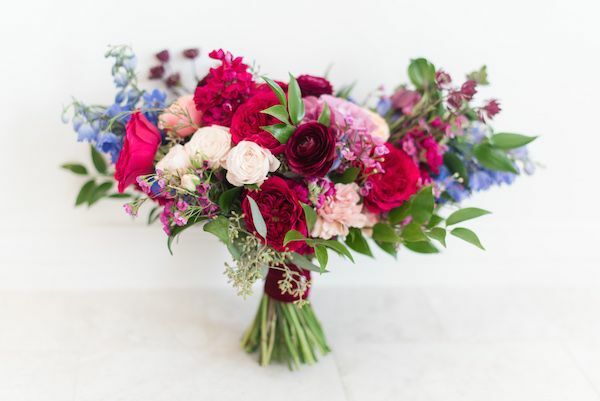 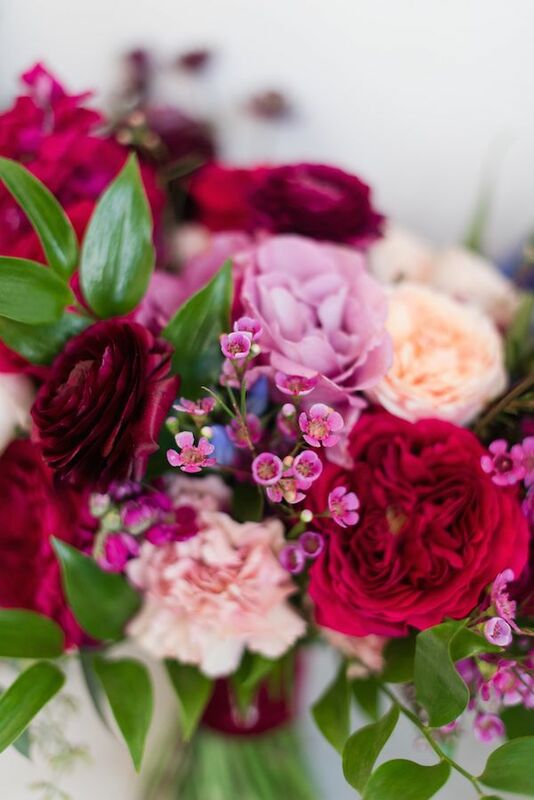 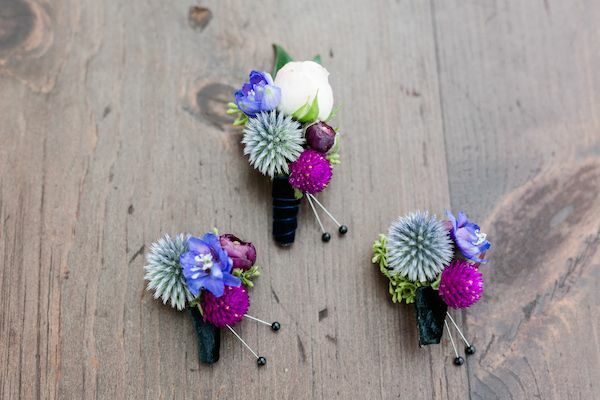 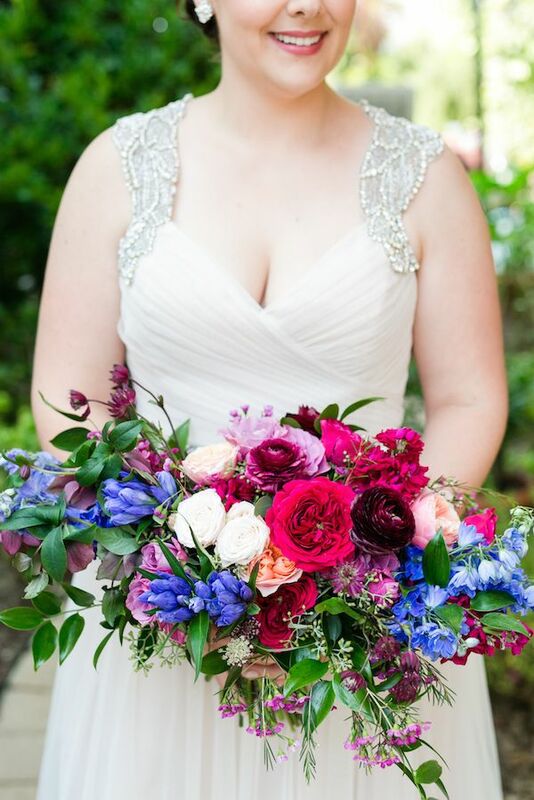 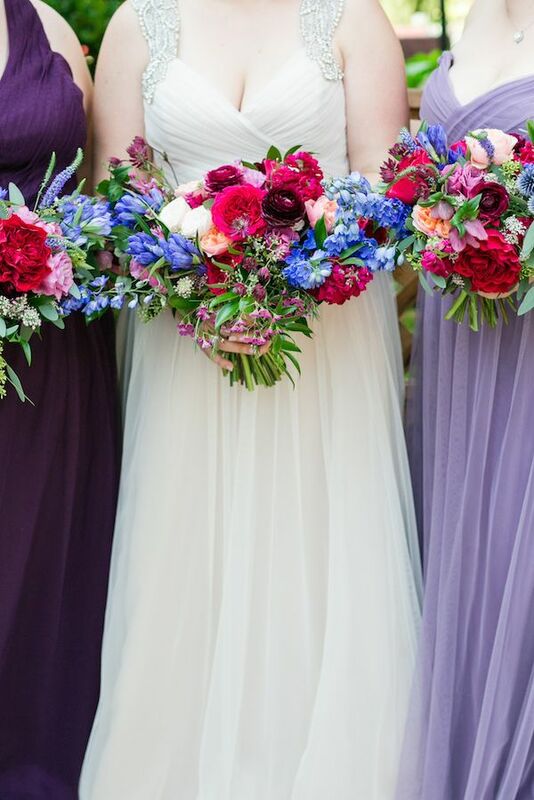 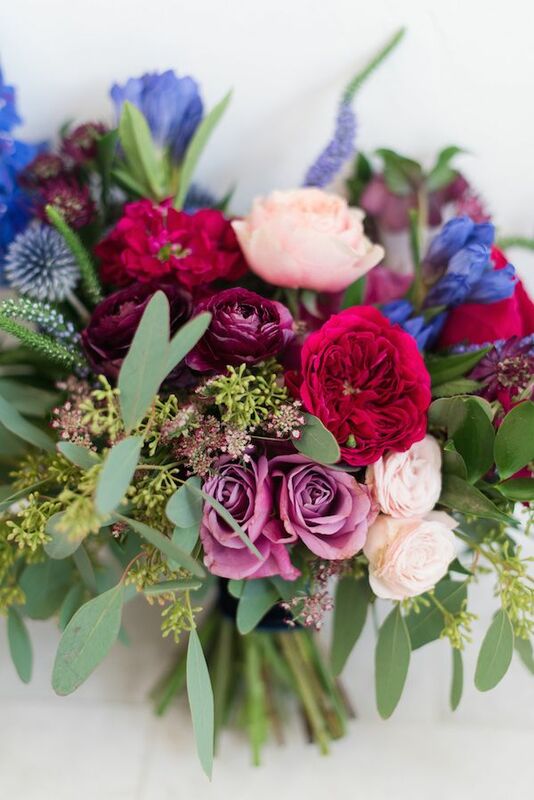 And these wedding bouquets designed by Rebelle Fleurs? 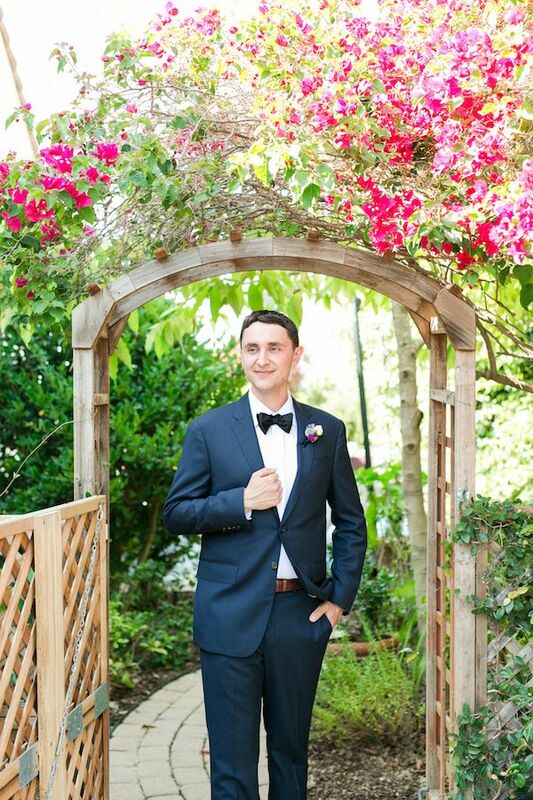 Swoon. 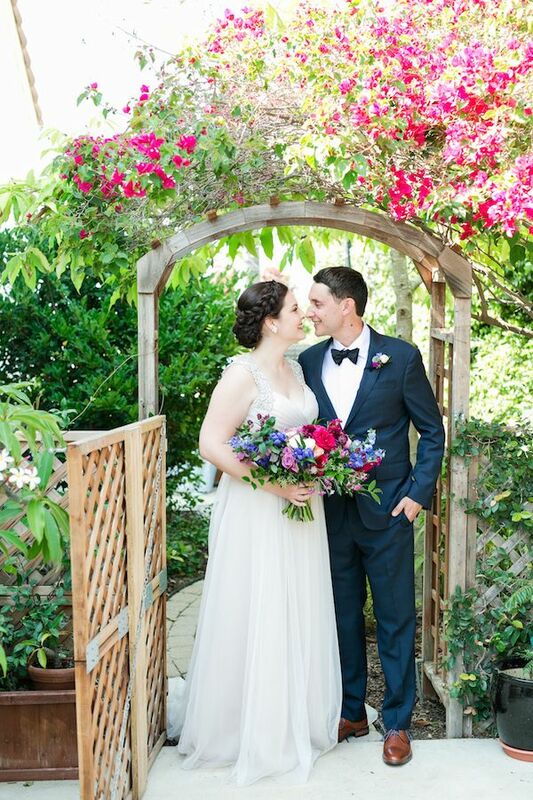 Their day was nothing short of a fairytale! 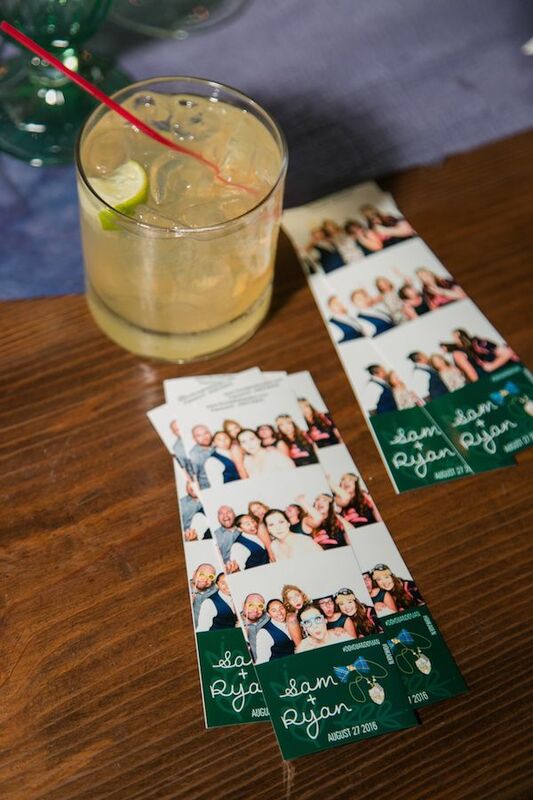 ...and everything was picture perfect! 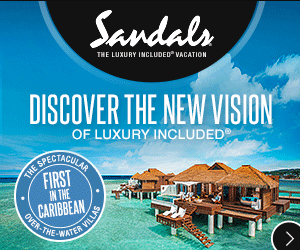 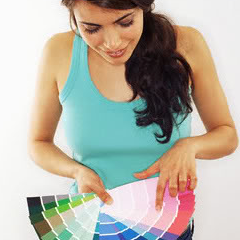 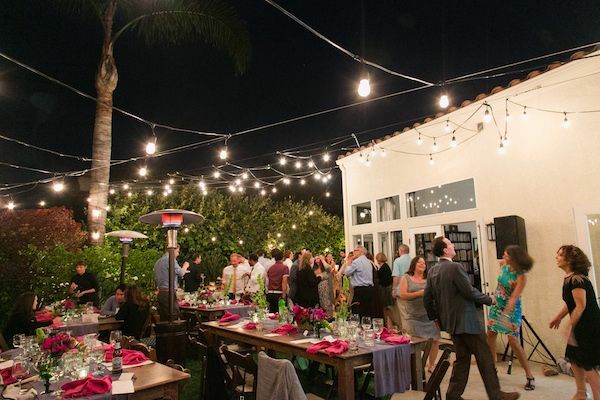 Rentals by Ventura Rentals really helped to set the scene for romance. 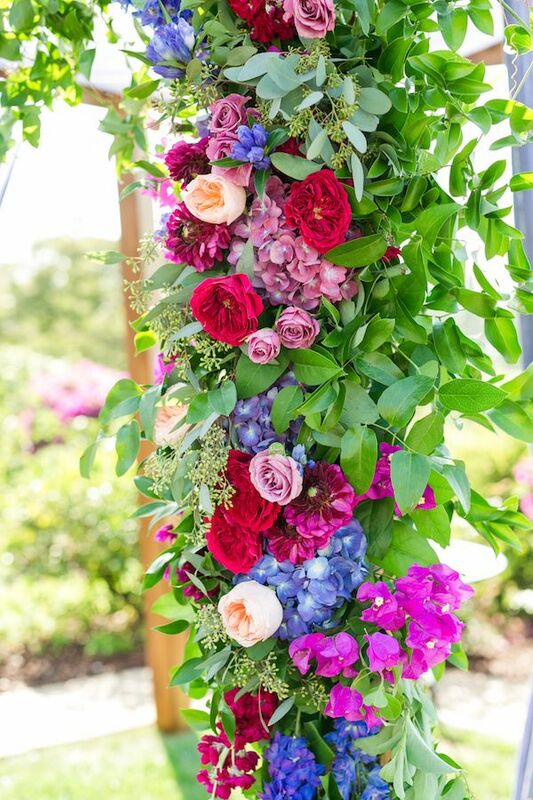 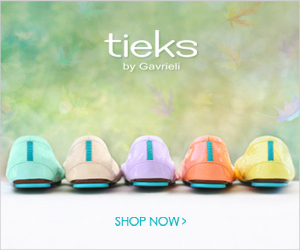 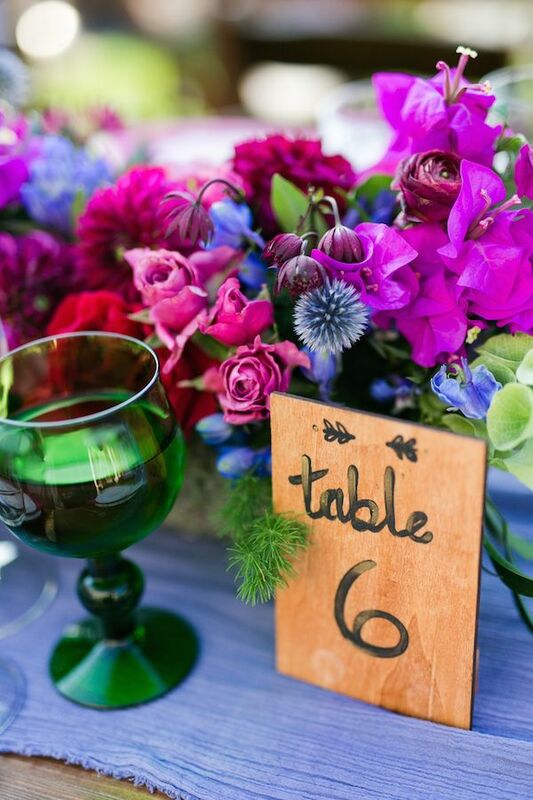 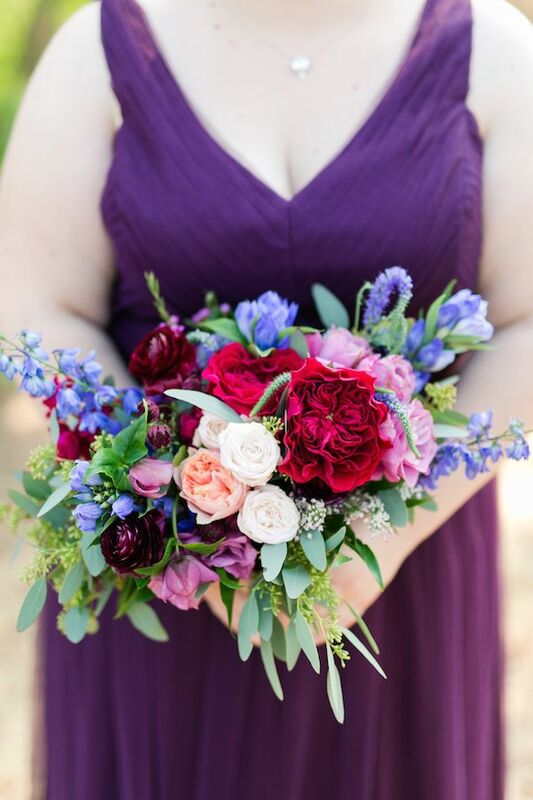 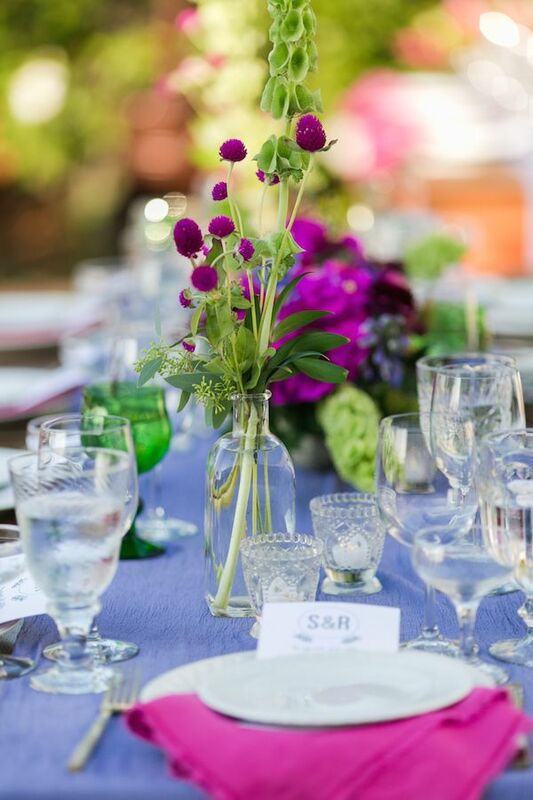 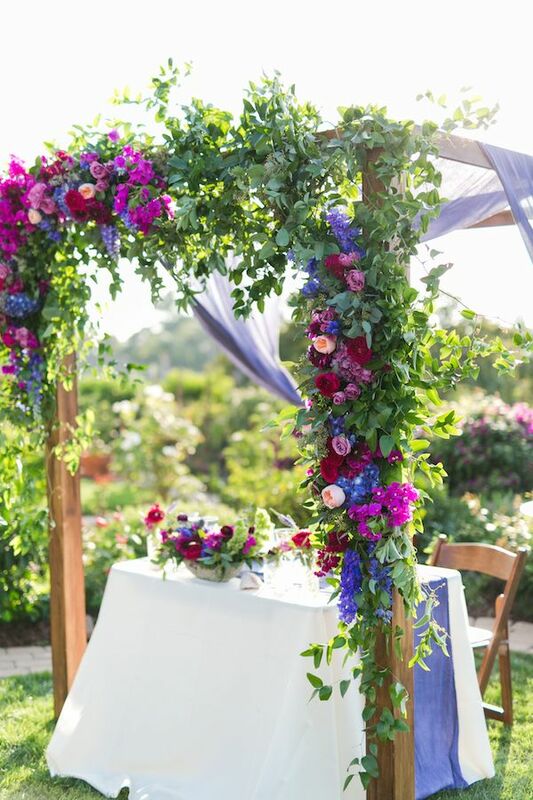 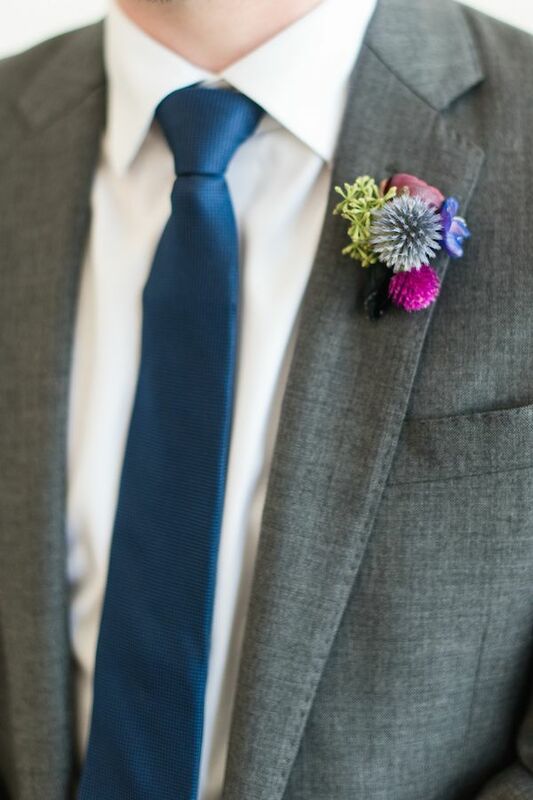 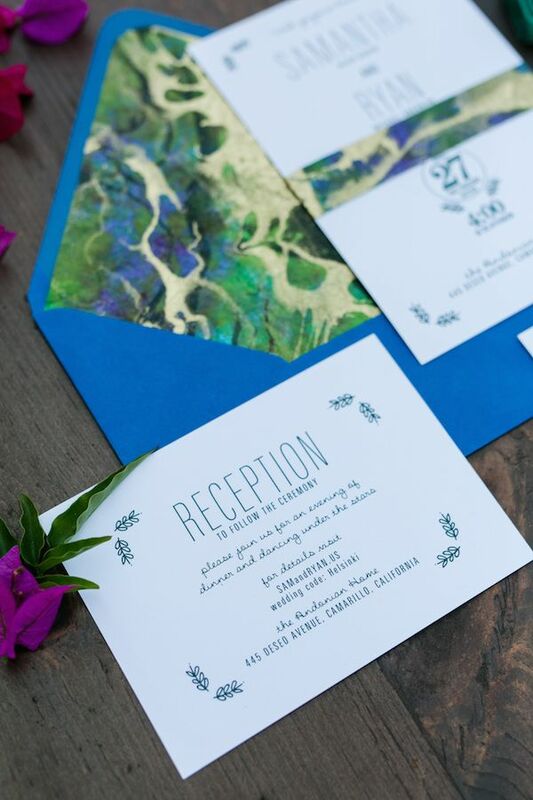 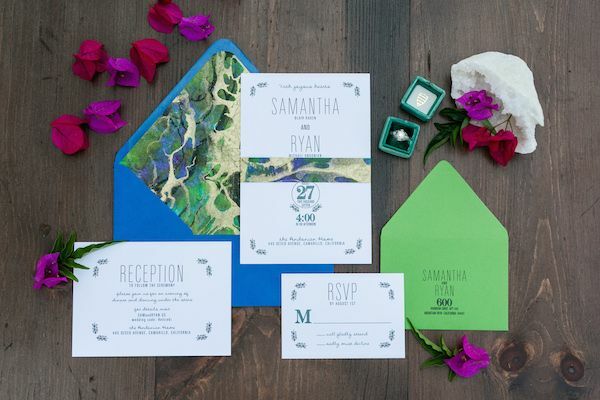 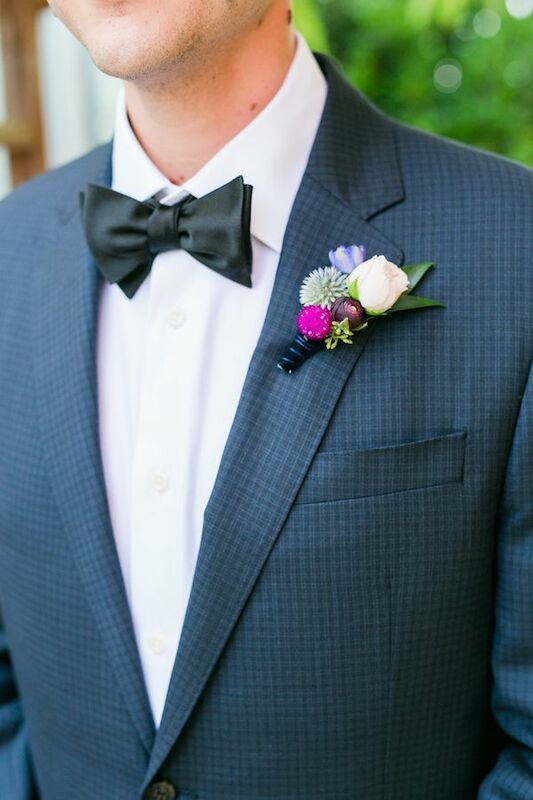 And we simply can't get enough of these vivid pops of color throughout! 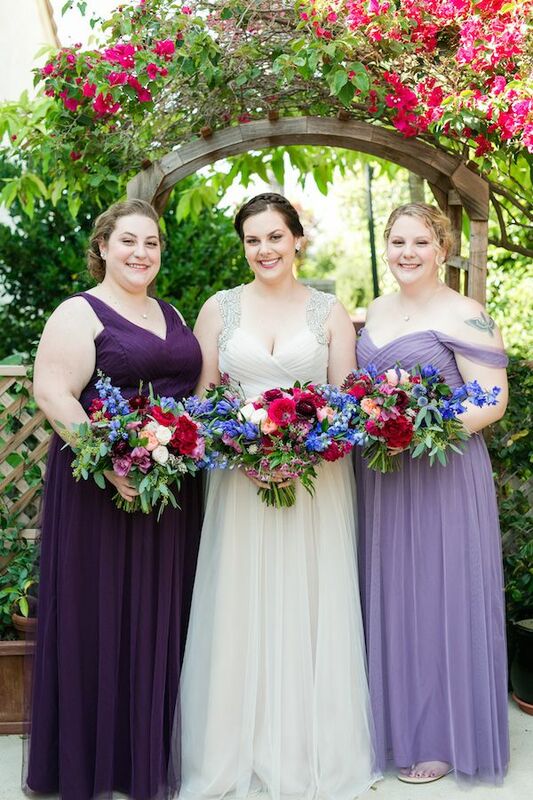 Bridesmaid dresses by Monique Lhuillier and Amsale were so pretty in shades of purple. 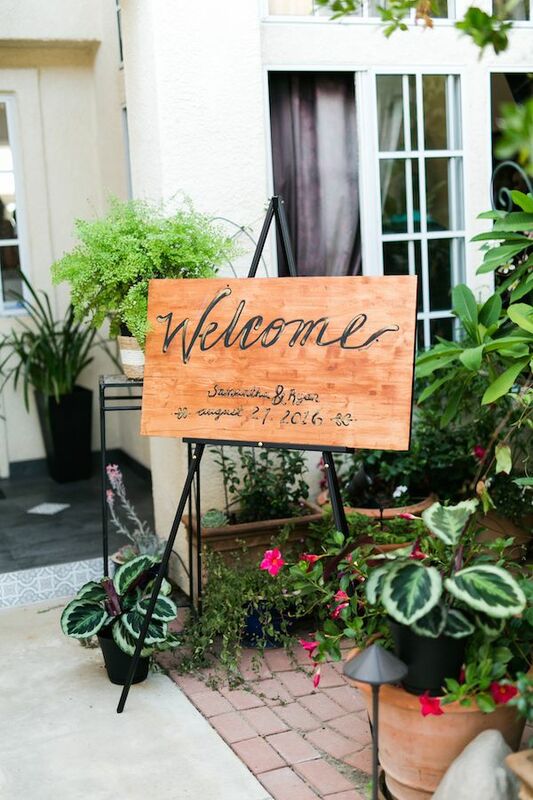 And how great was this custom "welcome," sign at the front door? 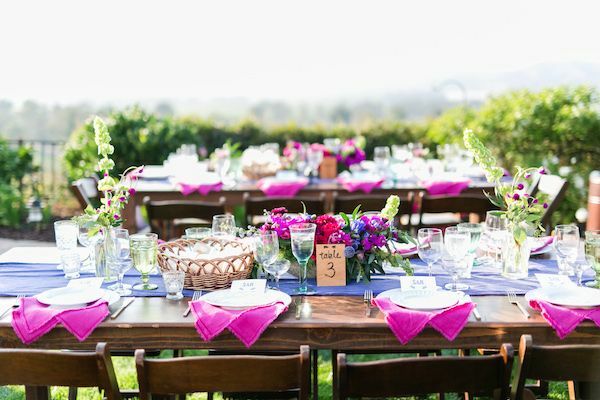 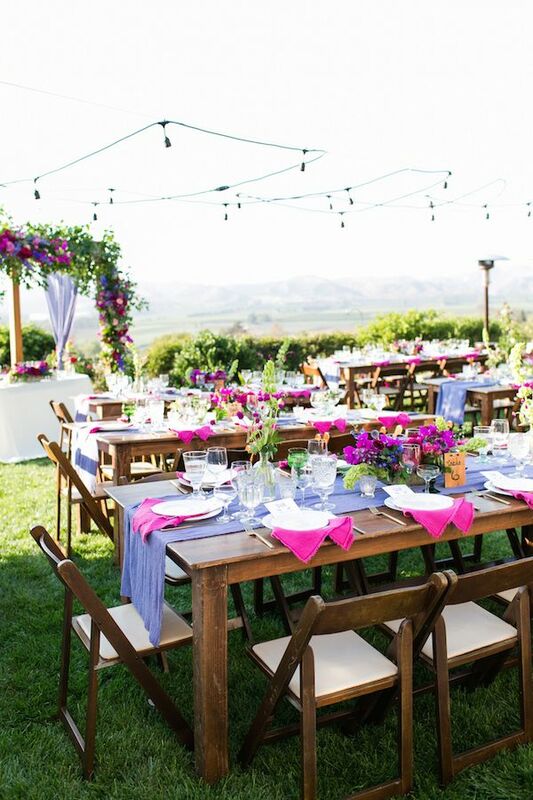 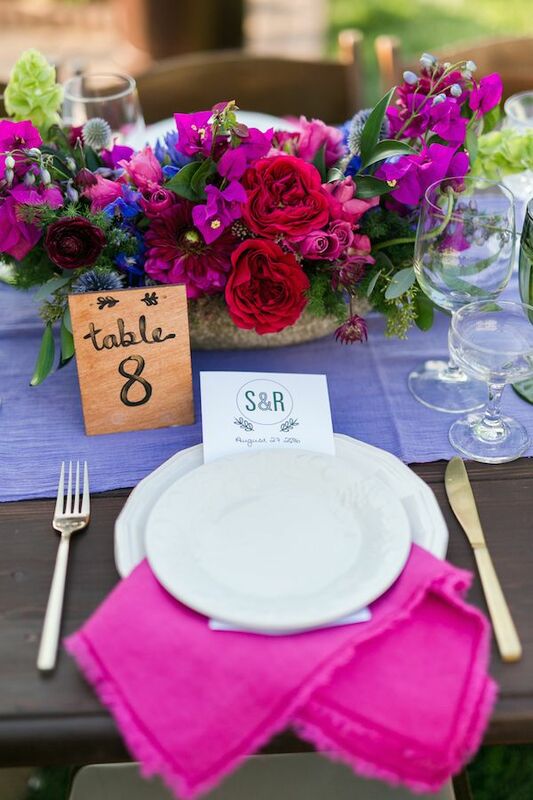 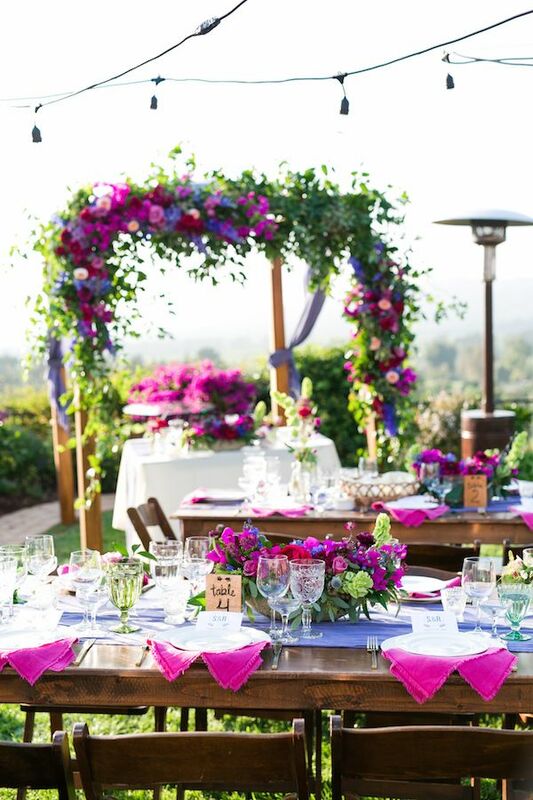 Warm, inviting, and all kinds of colorful, Samantha and Ryan's backyard reception was pure perfection. 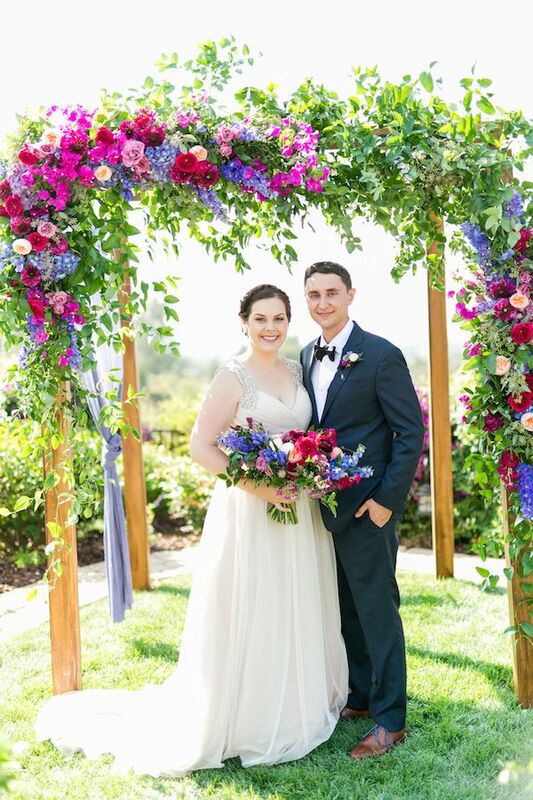 The floral installation for the ceremony space was simply beyond beautiful... ...and just one look at the happy couple and you can see what a special day it was. 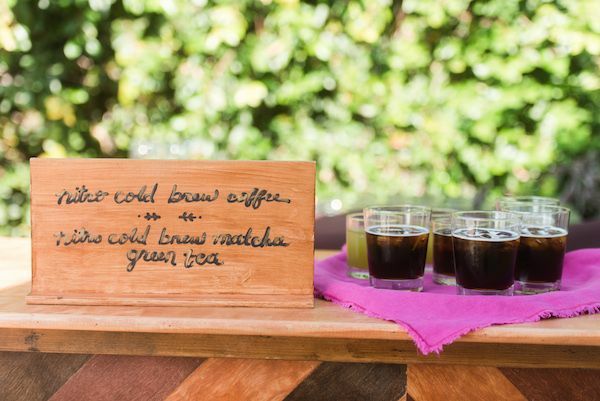 Their was magic to be found around every corner... And they even served up iced coffee and green tea from the B Sweet Dessert Bar. 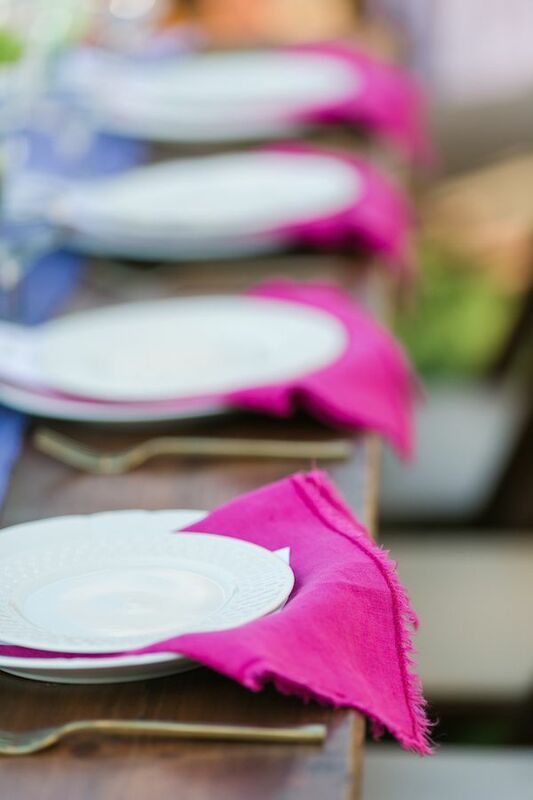 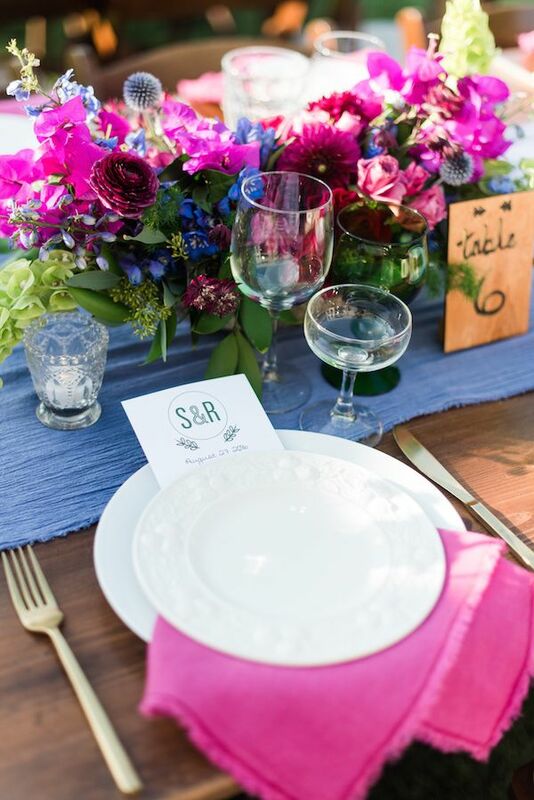 Oh, and did we mention these colorful linens? 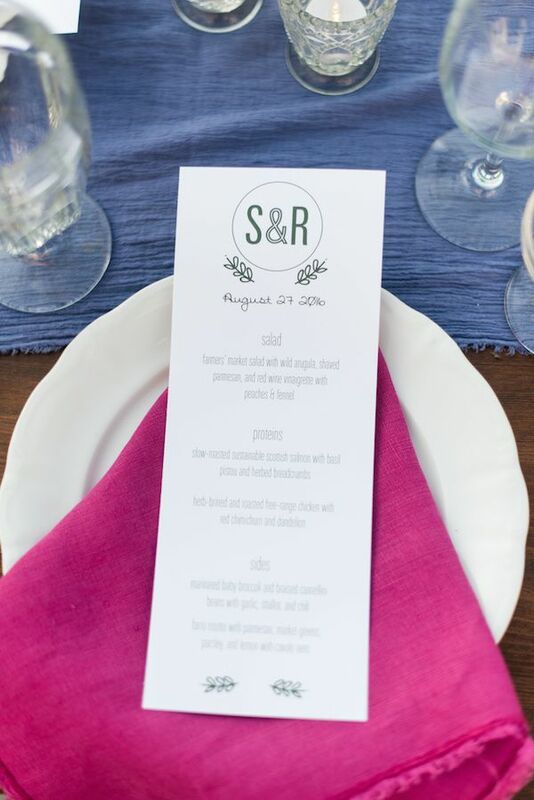 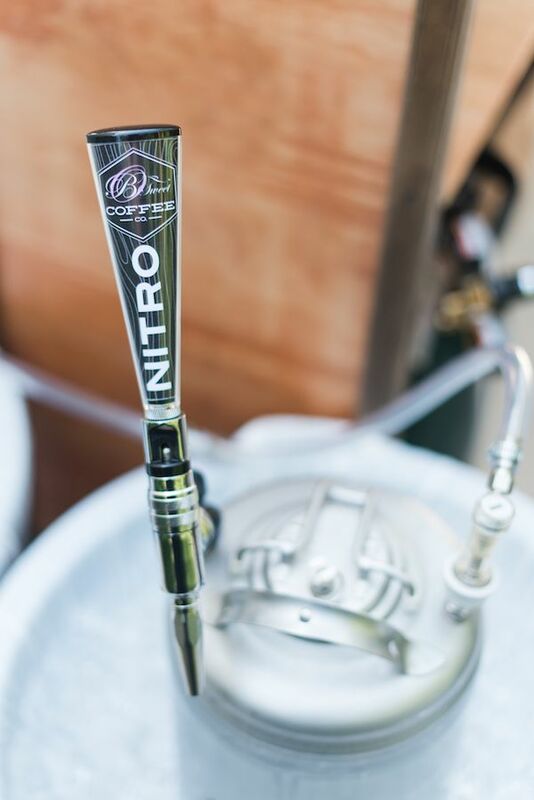 Menus were designed to compliment the look! 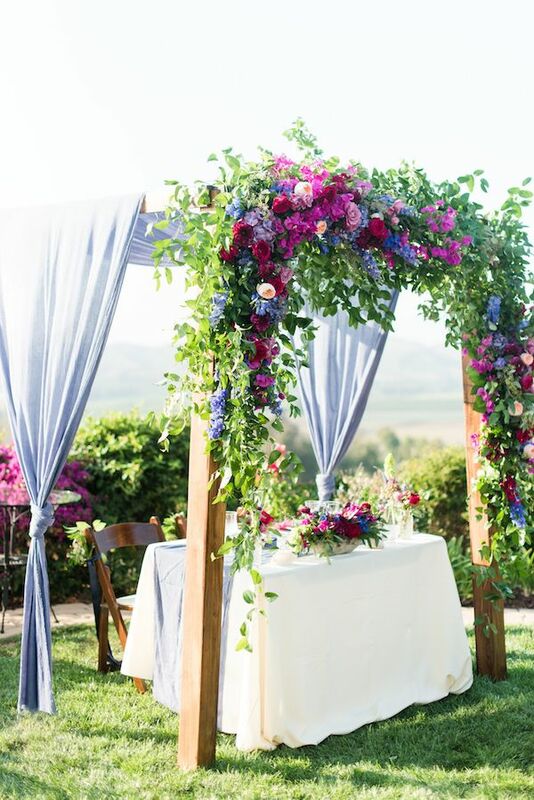 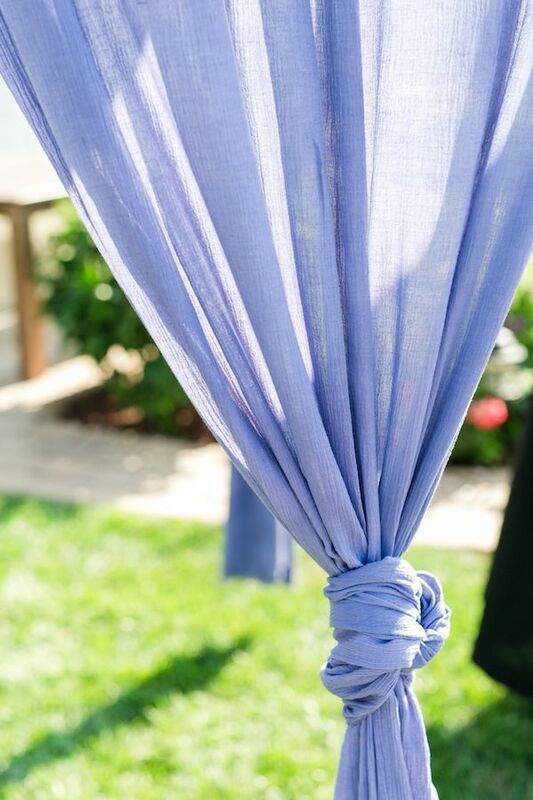 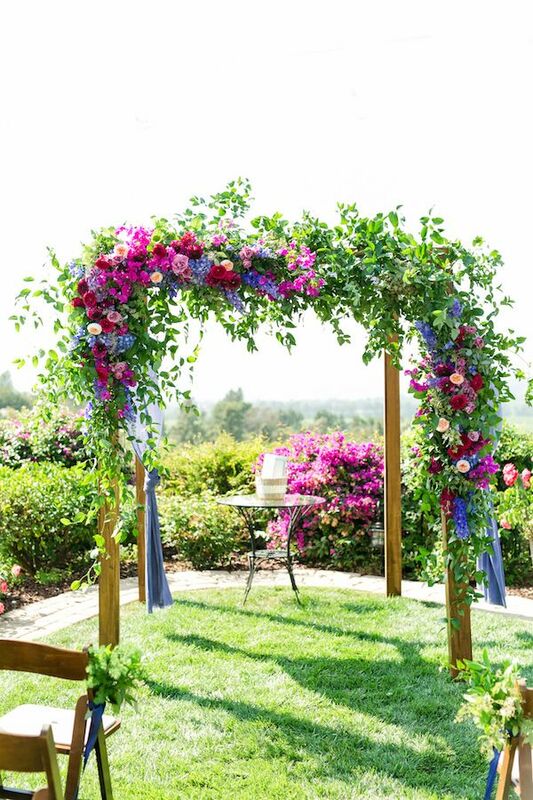 ...and we simply can't get over how they transformed the ceremony arch into a sweetheart table cabana. 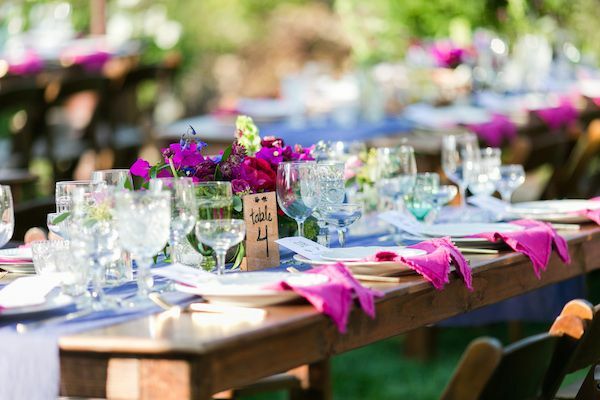 Little Nelly Catering did an amazing job with the catering. 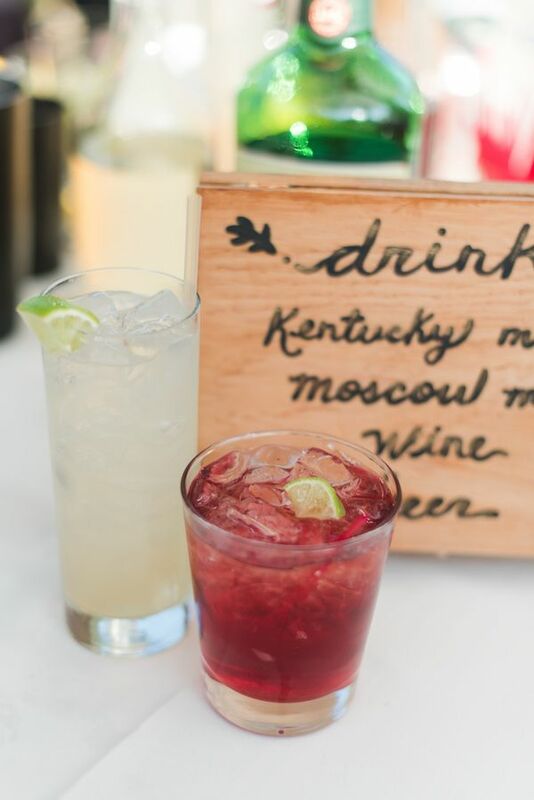 Care for a drink, anyone? 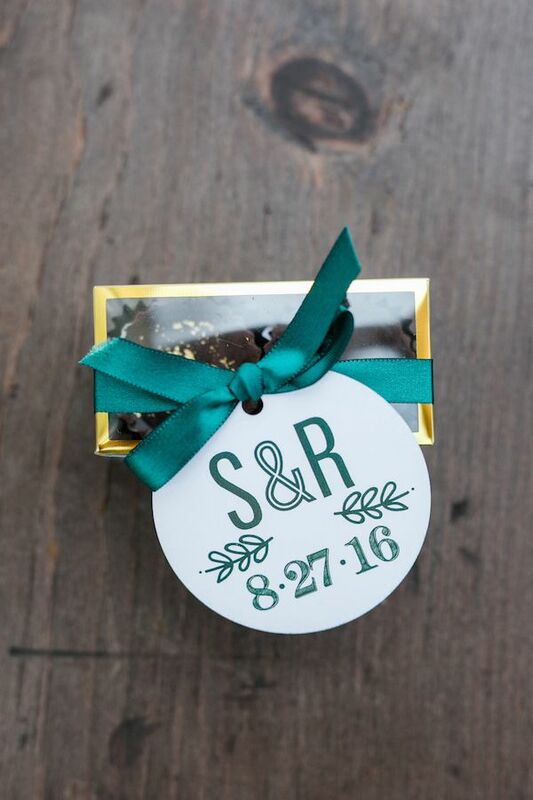 Congratulations, Samantha and Ryan! 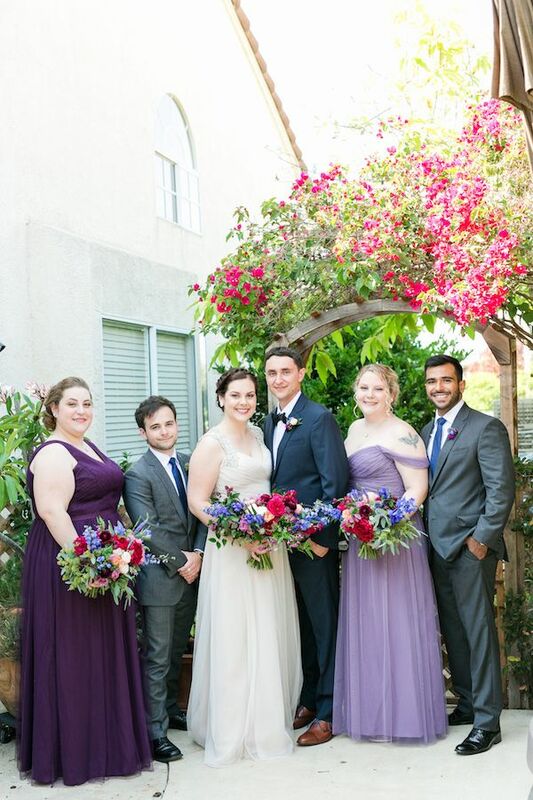 And huge hugs and high fives to this fabulous team of wedding pros led by The Joy Parade who clearly rocked it out on this day! 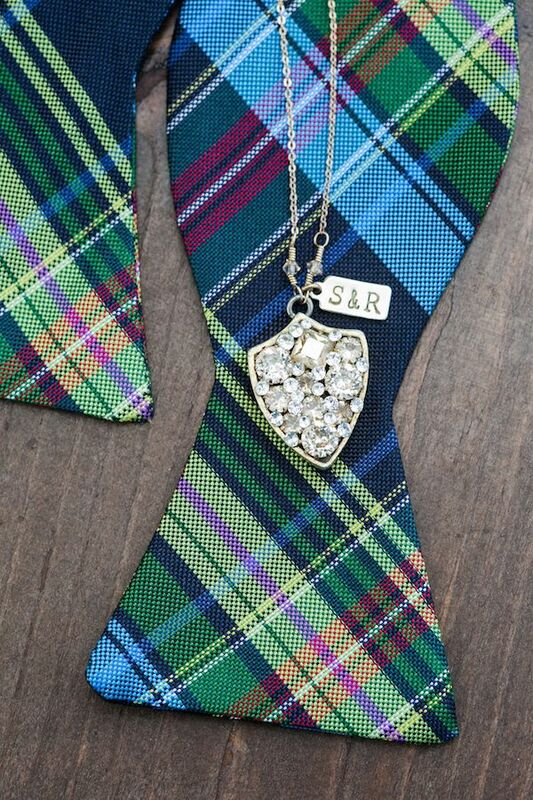 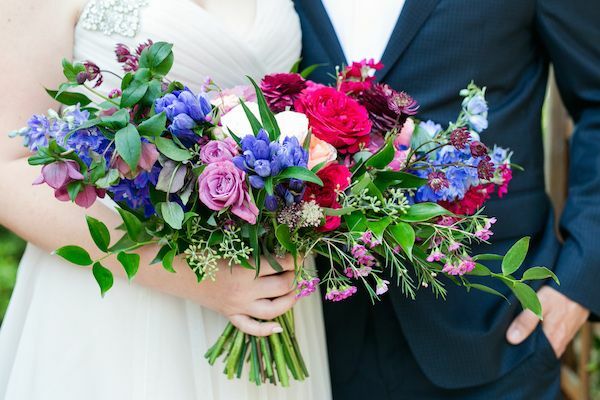 4 Comments " Samantha & Ryan's Storybook Wedding "
Beautiful pops of color! 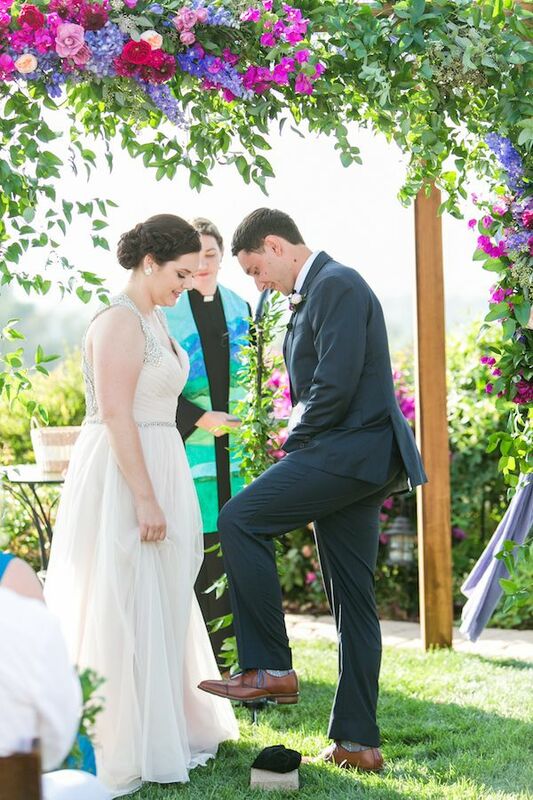 Sometimes it can seem too much but this was perfect.